When your child needs surgery, we know it can be a stressful and uncertain time. That is why our team places a high priority on communication. 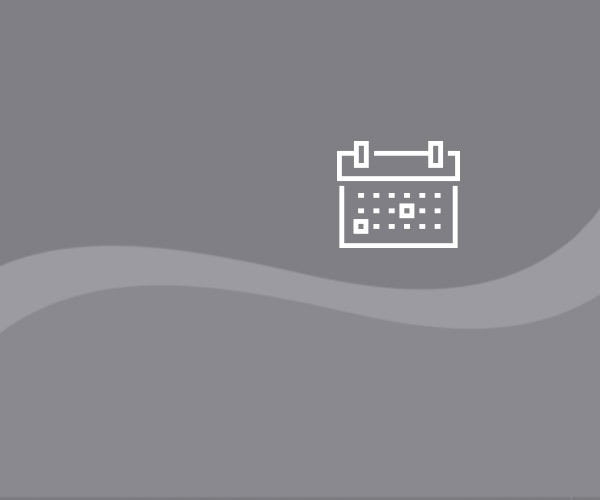 We want you to know what to expect, understand the treatment plan and receive answers to all your questions. Our goal is for your experience at Dayton Children’s to be a positive one! Learn as much as you can before the big day. Ask your child’s doctor, nurses, or staff to provide you with information about your child's procedure. If your child is old enough, help her understand what will be happening and why without using alarming language like “the doctor will cut you open.” Be open and honest with your child giving as much information as she can understand. Surgery can be scary for kids of all ages. So you need to understand their fears and talk about them. School-age children may fear needles, knives and damage to their bodies. Let them know the surgery will fix the problem. Teenagers may have additional fears—losing control, missing out on activities, being embarrassed or sounding childish. Teens may also be afraid of waking during the operation or not waking afterward. We have developed additional information to help you prepare for surgery below. Wondering what questions to ask before your child’s surgery? If you have time, review and complete the following checklist at least one week before your child’s scheduled surgery or procedure. Being prepared will help you and your child feel less anxious. If your child is scheduled for surgery at the main campus, you may be interested in a pre-surgery tour to help your child feel more at ease. To arrange a tour, please call our child life team at 937-641-5903. Copayments will be collected at the time of service and can be paid with cash, personal check or major credit card. Your insurance company can tell you how much your copy will be. We can give you an estimate of the copayment before you arrive for your child's appointment. If you have any questions or concerns about your insurance coverage please call your insurance company before your appointment. If your plan contains a preferred provider list, please confirm that Dayton Children’s physicians are included. And explain that (in many outpatient procedures), your child can come home soon after the surgery is done. Make a list of all prescription and nonprescription medicines and supplements (vitamins, herbal medicine, etc) your child is taking, or bring the medicine bottles with you. Make sure you have the name of each medicine as well as the dosage and instructions. If you, the parent or legal guardian, cannot be with your child the day of the procedure, please complete Permission to Treat without a Parent or Guardian. For help, call Dayton Children’s social work department at 937-641-5300. Many of our surgeries do not require an overnight stay. If you will be staying overnight, see our overnight accommodations. There is room for one parent to stay overnight in the child’s room. Overnight accommodations are available at the Ronald McDonald House located across the street from Dayton Children’s, as well as other area hotels and motels. The Ronald McDonald House may also be able to help you find a local motel or hotel that offers discounts to families of patients at Dayton Children’s. Meals are available for purchase through the hospital cafeteria. The patient relations manager, your child’s nurse or the information desk can give you a list of area dining, shopping and entertainment options. It is important you are able to focus on your hospitalized child. Please arrange for child care if you have other children at home. 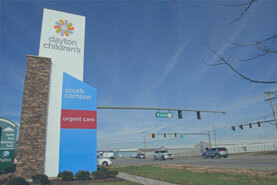 Dayton Children’s does not provide child care for visiting brothers and sisters. Parents or guardians may visit 24 hours a day and all other visitors such as brothers and sisters, may visit from 10:00 am to 8:00 pm. Please note that some special care units (such as pediatric intensive care and the Newborn Intensive Care Unit have limited visiting privileges). Check with special care units for visiting information. General visiting should be limited to three people at a time per patient and only two siblings may visit at a time. Visiting brothers and sisters younger than 15 years of age must be screened for communicable diseases and supervised by at least one adult. Please see before your visit for more information on visitation. If your family has special needs, requires a wheelchair, a sign language interpreter, a language translator or any other type of assistance, please let us know before your arrival so we can make you and your family as comfortable as possible. Please let us know about any personal, cultural or spiritual beliefs or practices that may affect your child's treatment and care. · I have given Dayton Children’s my current phone number and email. · I have scheduled my child’s pre-procedural exam. · I have scheduled a tour if I wish to have one. · I have my child’s medications and any documents for guardianship if needed. · I have let the office/hospital know that I need an interpreter. · I have transportation to and from my child’s procedure. · I have arranged child care for my other children. 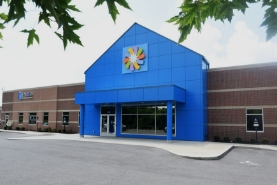 · I have completed my child’s history call with Dayton Children’s pre-procedure nurse. · My child and I have watched the procedure program videos. · I have bought any over-the-counter medications I may need after my child’s procedure (example: Tylenol and Motrin). · I have shopped for any food and comfort items my child may need before or after the procedure. · I have spoken to my child about their procedure using the tips sheet from section 3.3. · I know what time my child should stop eating/drinking/nursing for the procedure. · My child is free of rashes, diarrhea, vomiting or fever. · My child has taken a bath/shower. · I have helped my child remove any make-up, nail polish, jewelry and piercings. · If my child wears contacts, they have been removed. I am bringing glasses (if my child has them), or a contact lens holder. · I have had a second call with Dayton Children’s pre-procedure nurse. · I know what time to arrive at the surgery center. · I know where I’m going for my child’s procedure (main or south campus) and how to get there. · My child has picked and I have washed any comfort items they want to take along. · If directed to do so, I have given my child their morning medications with sips of water ONLY. · I have all our personal items that I packed the day before (example: comfort items, glasses). · I have the completed form from my pre-procedure visit. procedure, please call us. For the main campus (Dayton), call 937-641-4269. For the south campus (Springboro), call 937-641-3880. The pre-procedure nurse will tell you when your child needs to top eating solid foods, when they will stop drinking milk or breastmilk (if relevant), when they can only have clear liquids, and when they need to stop eating or drinking everything. Here are examples of solid foods and clear liquids. 1. Be honest. Stress that children don’t know about before is harder to deal with than stress they know about and are ready for. Not telling your child about his or her surgery can be worse than telling him or her. 2. Listen. Allow your child to tell you why they think they are coming to the hospital and what they will be doing. Once you have a better understanding of what they know, you can explain it better and clear up any misunderstandings. coming to the hospital and surgery as punishment for something they have done wrong. Keep this in mind when talking to your child about coming to the hospital. 4. Let them know they won’t be alone. 5. Help them understand why they are coming. For example, if your child is having ear tubes, let them know they are getting them so they don’t have ear infections any more. spending the night, let them know. It can be helpful to tell your child they will be having a sleepover at the hospital. This is a great way to take the scariness out of it. Make sure they know that you will be at the sleepover with him or her. 7. Answer your child’s questions honestly and simply. 8. Show them pictures of the hospital. 10. No matter how they act upon arriving to the hospital, keep being positive with them and remind them how brave they are being. 1. Be honest and truthful. Stress that children don’t know about before is harder to deal with than stress they know about and are ready for. Help your child understand what will be happening. 2. Listen to your child. Find out what your child thinks is going to happen at the hospital so that you can clear up any misunderstandings he or she might have. 3. Answer your child’s questions honestly and simply. 4. Show your child pictures of the hospital and the surgery area. 5. Talk about how he or she will feel after the procedure. anesthesiologist will be giving them the anesthesia medicine continuously during his or her procedure. When the surgeon is finished with the procedure, then the anesthesiologist will stop giving your child the medicine and your child will automatically wake up. 7. Make sure your child knows he or she will never be alone. 8. Give your child choices. Giving your child choices gives them control in an environment they don’t have control over. understands that the IV is actually a straw and that the needle doesn’t stay in his or her body. 10. Support his or her feelings. Don’t make your child feel embarrassed about the way they feel concerning the hospital. Sometimes teens can react to feelings of anxiousness in ways that don’t make sense to adults (like anger, disinterest and depression). Support your child’s feelings and help them cope with their emotions. Paid parking is available at the main campus in the parking garage. For more information visit our location pages. Dayton Children's is a not-for-profit medical center, which cares for all children regardless of financial circumstances. We are committed to working with families to help you pay your medical bills. You can apply for Financial Assistance before, during or after your child receives care at Dayton Children's. See our billing section for more details. For information on paying your bill, see our billing section. Your child's anesthesia services will be provided by Children's Anesthesia Group, Inc. These services are billed separately from the hospital. 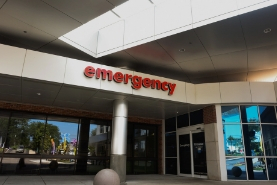 Children's Anesthesia Group, Inc may accept different insurance plans than Dayton Children's. Talk to your insurance company before surgery to make sure all services will be covered. After patients return home, our team continues to provide support and care. If you have questions or need assistance, please call the pediatric surgery clinic at 937-461-5020. After hours, dial 937-641-3000 to reach the hospital’s operator, and ask for the pediatric surgeon on call.